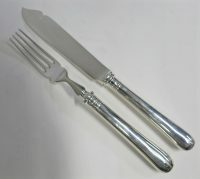 A Set Of English, Sterling Silver, 12 Fish Knives & 12 Fish Forks, With Sterling Silver Handles & Blades. No Filling Or Weighting In The Handles, Means that The One Piece Sterling Handles & Blades Cannot Separate. 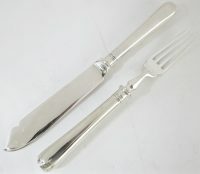 Made By CJ Vander, The Last Of The British Premier Silversmiths. The Plain, Old English Pattern, Makes It An Easy Match To Most Of The Simpler Patterns. Knife Is 8.5″ Long. 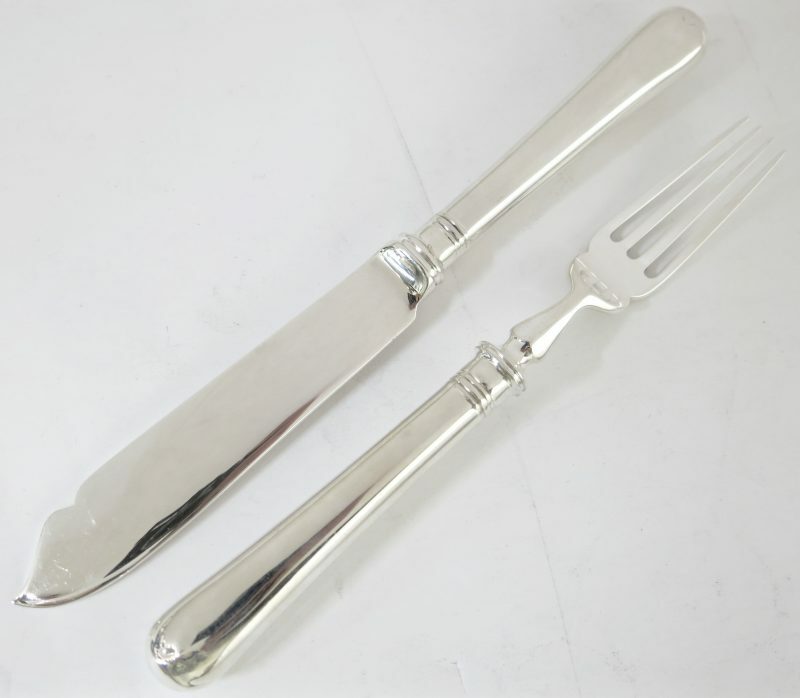 Fork Is 7.5″ Long. Both Are Hallmarked On The Rear. 18 Years Old, Dated 2001. 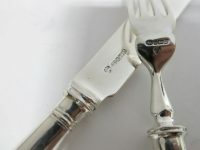 Most if not all items are antique or used items, and as such nothing is ‘perfect’, but we always will describe any damage, repair, inscriptions, monograms etc to the best of our ability. Please ask any questions BEFORE purchasing or bidding on any item. All weights & measurements are approximate, but as accurate as possible. Please view all the pictures as they form part of the description. All items are available to inspect, and pick up, at our Manhattan gallery. We do not ship to PO Boxes. We use Fedex Ground shipping, and a signature is required for delivery. Don’t forget we offer free ground shipping anywhere on mainland USA. We ship worldwide. Please contact us for a shipping quote. By 1904, when Joshua died, two of his sons – Henry and Alfred – had joined the business and registered their marks at Goldsmiths Hall. The firm expanded and moved and continued to prosper until the outbreak of World War I. In the post war years, sales again increased and the 1920’s and 30’s saw the business grow not only at home, but also in the USA where C.J. Vander built an impressive export business. Succeeding generations of the Vander family, too, continued to be involved in the company. In 1926, Alfred’s eldest son Norman joined from school and took charge of production. He was soon joined by his cousin Arthur. The gathering storm clouds of war once more appeared on the horizon and there were no silver linings. The company’s premises in Betterton Street were compulsorily purchased in 1938. Alfred died in 1939, and in 1941, enemy action led to the destruction of the greater part of C.J. Vander’s new premises in Fetter Lane. The few employees who had not been called up into the armed forces, were moved to a factory where their skills were used for producing aircraft parts. In the post-war years, rebuilding its business was made all the more difficult by the Government’s imposition of a punitive purchase tax which rose to a peak of 125 percent, decimating the U.K.’s traditional silver industry. 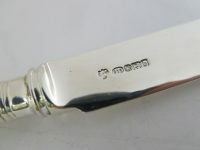 Thanks to its existing export business, and the fact that it had become an established dealer in second-hand and antique silver, C.J. Vander was in a stronger position than many of its competitors. The Goldsmiths and Silversmiths Company (Garrards) asked C.J. 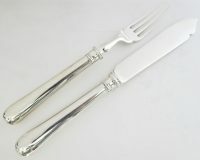 Vander to produce hand-forged flatware from the dies of a unique range of patterns which had belonged to the defunct company, Francis Higgins. C.J. Vander took on some of Higgins’ former craftsmen, who passed on their skills, enabling the firm to keep alive one of the traditional crafts. Richard, Henry’s son, the brother of Arthur, joined in 1949. The Coronation of Queen Elizabeth II in 1953 gave fresh impetus to the silver market, and C.J. Vander enjoyed considerable success. In the late 50’s, the firm moved to its present premises in St. Cross Street. Meanwhile, members of the Vander family continued to join and run the business. In 1965, John Vander, Norman’s elder son joined the company. Three years later, Norman’s second son, Robert, followed in his brother’s footsteps and Anthony, Richard’s son, joined in 1981. Today, all the knowledge, skills, dies, patterns, and traditions which C.J. 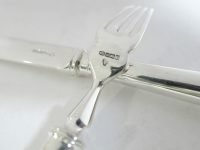 Vander has acquired over the many decades of its existence, culminate in the superbly crafted silverware, sought by discerning customers all over the world. In 1996, C.J. Vander was acquired by Syratech Corporation, owners of the leading silver brands in the USA. Richard and Anthony Vander continue to work in the business. Syratech Sold CJ Vander in 2003 to a management buyout group, and finally, after 120 years, CJ Vander closed their doors forever in 2007.